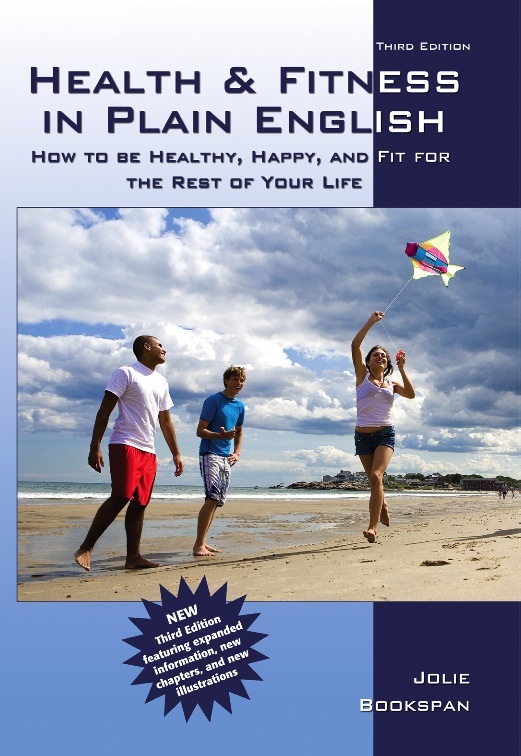 Welcome to my large free web site DrBookspan.com. This page starts with interesting topics in diving and hyperbarics, and continues with aviation and aerospace medicine, with stories about my work going higher farther deeper and more. These are summaries, with a wealth of knowledge still to give. See me for appointments and classes in person, or use my online private consult and books for more. For more about me, and the physiology of survival and better performance in different conditions, check my Adventure Medicine page. I am a scientist in human physiology. My professional and life work is to understand and study the coldest, hottest, fastest, highest, deepest, quickest, bravest, strongest in human physiology. I study the human body in extremes. I study what makes a person able to survive an event and the person next to him, not. Strong brave men got hazardous duty pay to spend a day with me. I make grown men cry. Since I was small, I wanted to be a scientist. I wanted to live under the sea. I wanted to understand why if three people fall in freezing water, one might die, one would be sick, and one could make it through fine. In the same marathon, some racers will have heat exhaustion, others experience cold injury. I grew up to be a researcher in extreme physiology - the science of surviving extremes of heat and cold, mountain top and underwater, high and low air and water pressure, changes with exercise, nutritional, and pharmacologic tinkering, altitude, g-forces, injury, and other things extreme. I have lived underwater, on ships, and mountains. I slept outdoors in snow to study cold adaptation. I spun pilots in centrifuges until their faces looked as wrinkly as Shar-Pei puppies. I am asked to examine long unsolved cold case murders in my work as Science Officer of The Vidocq Society - I am the "Spock of Vidocq" (www.Vidocq.org). All my young years, I read accounts of survival - stories of defecting MIG pilots, tiger pit prisoners, remote plane crashes, snowbound hikers, expeditions across continents, near-drownings, children of war, swimming races in the arctic, the different bones that children develop who learned different trades and movement patterns. I grew up to study the difference in joint angles and limb lengths that confer speed or strength advantage. I study physical training to see which, and how much, can supersede inborn advantage and increase performance. As a research scientist, I did the "get-your-hands-cold-and-dirty" work to distinguish what actually happens and how it comes to be that way. Many things we heard in school or in stories were never true, just repeated. My work in extremes is mostly behind the scenes. Piles of data I collected and analyzed for years of studies are in volumes at military and university sites, in my file cabinets, and brain. I apply these studies to develop training methods and injury recovery methods that work for the moment, and for long-term health. As a military research scientist, I measured what humans can do, physically and mentally, and how to make them better at it. I tested pilots undergoing acceleration to see what determined susceptibility or resilience to blackouts and other g-force effects. I tested combat swimmers to see what makes them swim faster, farther. I worked on countermeasures to prevent astronauts' muscles from weakening and bones from de-mineralizing, because in the free-fall environment of space orbit, muscles do have to work against resistance. Muscles pulling against bone during weight-bearing and resistance exercise makes the bones retain calcium. After weeks in space, astronauts return with the equivalent of years of bone and muscle loss. I tested ground troops to see how much they could carry and why. 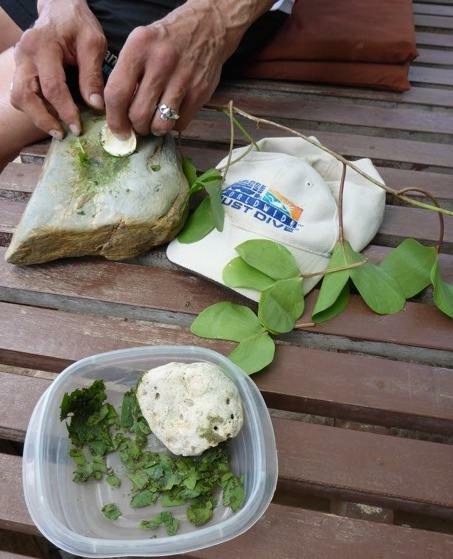 I worked on how to train the person, making him self-contained and able to withstand harsh conditions without special clothing, tools, or pills. Other departments worked with garments that improve tolerance to temperature, weaponry, and other effects. Another group are the 'gadget guys' making yet more things I have to make the guys able to carry around. Another department is pharma-chemicals - what drugs they could develop and administer to block need for sleep and food, heighten focus, or increase strength or speed. Some heart drugs are long-known and used for steadying the marksman's hand by decreasing the contractile pulse of the heart. I work with the human without all these things. As a diving researcher, I worked to determine which kinds of diving equipment, gas mixes, dive and hyperbaric chamber profiles may be healthy or not and why. I work to find out why some of the most common things we were all taught as divers were not true and may never have been. I work to find techniques to develop faster swimming and harder training without injury. I lived and swam with the Japanese Ama divers and in underwater laboratories. As we like to joke, everyone else has paying work. I put some of the interesting stories of this work on this web page plus more on other pages on this site, starting with my Research page. 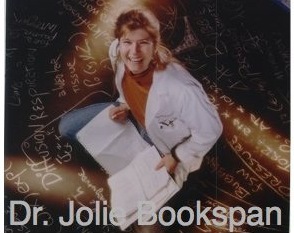 I hope you will want to read my books about the physiology I studied. See some of them on my BOOKS page. I wanted to be a scientist since I was very young. I wanted to study physiology under the sea. I wanted to live underwater, and for a time, I did. This is how I found out about exploding toilets. One of the laboratories where I worked was underwater. We lived, slept, ate, and worked for many days at a time without coming back to the surface. In the photo above, I am just coming up into the underwater lab after swimming up though the round hatch in the floor. I am wearing a small tank called a pony bottle and scuba regulator. In those days, we'd wear our jeans over bathing suits. The lab was a small metal building tethered to the bottom of the ocean. It had air inside. The entrance was a small round hatch in the floor. 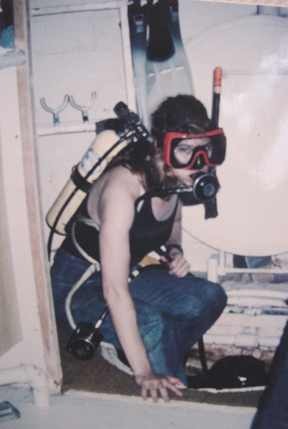 To get to the lab I swam down on scuba gear, or using long surface supplied hoses (sometimes called hookah hoses), under the lab to the hatch and popped my head and body up through the hatch into the air. Then I'd take off my scuba gear (unless we got there by a deep breath-hold dive), dry off, and go about my work inside. The hatch entrance stayed open because the air pressure in the lab kept the water out. From inside the lab you could look down at the water through the hatch. You could not see the lab from the surface. If you went by in a boat, or drove by the highway, you would see only the surface of the sea. We joked that we wanted to order a pizza and give the lab address, and see the delivery person pull up to nothing but water and try to find us at the bottom of the sea. Even scientists can be funny sometimes. Hold a glass upside down over a container of water. Push the upside down glass straight downward into the water. Water doesn't enter the glass. Water rises in the glass a small amount because air is squeezed by water pressure. As long as you don't tilt the glass too much, the rest of the water stays out. The deeper the lab, the more the air is squeezed and the higher the air pressure. Our lab was deep enough that objects full of air brought down to the lab, might squash flat by arrival. One of the scientists had a CD-player. I brought it down for him in a transfer pot. We opened the pot to find the case bowed inward, so tightly pressed inward by greater pressure in the lab, and suctioned from inside, that it couldn't open. When transferring gear back up from the lab to the surface, air expands as water pressure decreases. Water-tight cameras that had been opened while under pressure in the lab had to be transferred to the surface open, or they might pop on the way up. This same "pressure-volume" gas-law relationship applied to the marine toilet, a rectangular plastic box with a screw cap lid. When you bring the marine toilet back up to the surface to empty it, any air inside the container expands. From only 33 feet of seawater (10 meters) to the surface, air volume will double because water pressure decreases by half. Before bringing the toilet box topside for cleaning, you need to fill it completely with water (or other liquids and solids) to prevent the air space inside from expanding on the way up and blowing the lid off, or worse. It was a test for new interns to see if they understood gas laws to prevent the toilet from expanding enough to explode. Good to understand Boyle's Gas Law. Thank you www.ied.edu.hk for the drawing of a cup under pressure. Here is a story when I worked and lived at the underwater laboratory, studying human physiology and bubble formation during and following saturation diving. The lab is a multi-room metal structure tethered many meters deep. It is dry inside. The air you breathe is under pressure, equal to the surrounding water depth. Since you live there for days, or weeks, the lab has a kitchen. Cooking and using the bathroom in the higher pressure is for another story. I didn't have a camera then, and don't have many photos from those years. To get to the lab you need to dive down to it. You can wear scuba gear or use a long surface supplied hose. Occasionally a reporter would come visit the facility and want to stay in the underwater lab for a day to get a story. We, the staff, would teach them enough to use the air supply safely to get them down and back up after their stay, and transport their sometimes large and unwieldy suitcases for them in watertight containers. One day, another staff member and I helped a reporter dive down to the lab, helped her inside, nice and dry, and left here there to set up her typewriter (this was a long time ago before laptops and wireless devices). We returned to the surface and put the air hoses away. Shortly later, we decided to free dive back down to check on her. We thumped on the big tempered glass portholes trying to get her attention. She noticed us. She was delighted to see two mer-people swimming in the blue depths outside. She waived at us gaily. We hovered swimming weightlessly outside in the blue, holding our breath. She raised her two hands, making a camera gesture. She clicked a finger in air and then pointed it to tell us - "Wait!" Through the porthole we watched her pawing around for her suitcase to find her camera. She looked and looked. She scattered clothes and bags. Finally, a camera waved at the view port. She positioned the camera to take our photo. (Still holding our breath waiting, waiting). She gestured WAIT!! She gestured, "I have to get it just right! Just a moment longer just WAIT." She got the photo. We saw the flash bounce off the glass, knowing the photo would never come out. She didn't seem fazed. She held up one finger and pantomimed through the glass - "Wait - one more!" "The cure for everything is salt water — sweat, tears or the sea." When you take a breath from a helium balloon and speak, your voice rises humorously. What happens when an astronaut does the equivalent and calls the President of the United States? In 1965, Sealab II replaced Sealab I, 62 meters (200 feet) down on the ocean floor. Sealab II was sometimes called the “Tiltin' Hilton" because of the slope of the site. Teams of "aquanauts" lived and slept inside, dry, and breathing air pressurized to that depth. The Sealab project was under command of Dr. George Bond, Captain, U.S. Navy Medical Corps, and affectionately called "Papa Topside." NASA Astronaut Commander Scott Carpenter spent a record 30 days in Sealab II. After spending that much time at that depth, specific surfacing protocols are needed, involving changing the breathing mixture and the pressure to avoid decompression injuries from the gas absorbed while breathing the air at SeaLab pressure. Carpenter did that inside a special decompression chamber, breathing an air mixture containing helium. Helium changes heat transfer both inside and outside your body, and changes how fast sound can travel. Sound travels faster through helium than through air. That is the "Donald Duck" effect. People who inhale helium from a balloon and speak on the exhale, have a distinctive humorous voice change. Funny voice lasts only as long as helium is passing the vocal apparatus. A recording was made of Commander Carpenter trying to phone President Johnson for a formality of congratulations while still inside the recovery chamber breathing the helium mix. The recording of Commander Carpenter was found, restored, and made available through NPR National Public Radio. Click "LBJ & the Helium Filled Astronaut" to read the short story and listen. I hope the recording is still there when you click. Their description lists the event as 1964, but I think it would have been 1965. It doesn't matter. Enjoy the recording. Specific breathing resistance exercises have been found to help increase respiratory capacity in people with various diseases, and to help physical training in athletes. Can respiratory muscle training help divers and combat swimmers? Back when I was in school, we learned that the ability to breathe harder, better, faster, could not be trained with exercise or other modality, that it was fixed from person to person, like eye color, except that it got worse with aging, and that it didn't matter much, since ventilation did not do much to limit exercise potential anyway. Even though the lungs don't have any muscles of their own, it didn't seem right to me, as the diaphragm and muscles that move the rib cage to voluntarily breath in and out are muscles like any other. What if there are people whose respiratory muscles are not trained to work hard enough and add to the metabolic cost of exercise, increasing fatigue and so, limit exercise? It is also true that many people are not in good enough shape to use more oxygen, so breathe most of the oxygen back out with each breath, even when exercising strenuously. Breathing in more air, or breathing faster, can't make you use all the oxygen in it. What about someone in great athletic shape who could use a bit more of that oxygen? Exercising the muscles that you use to breath in (inspiratory muscle training) is known to improve the endurance of the respiratory muscles in people with spinal cord injury and cystic fibrosis, and is shown to improve exercise capacity in patients with heart failure. What about for people without these conditions or for athletes? There is some published literature that does not show improved work capacity (J Sports Sci. 1991 Spring;9(1):43-52.) and some that show high-intensity training increases exercise capacity in people who are healthy (Phys Ther. 2006 Mar;86(3):345-54.). Combat swimmers have long used various breathing training to get in shape for swims and other strenuous work. Do they work as much as hoped? In a study by researchers at the State University of Buffalo at New York, respiratory muscle training was found to improve swimming and respiratory performance at depth. As you go deeper, the work of breathing can increase, even using high performance breathing devices, because of higher gas density and other factors. They tested the effect of resistance respiratory muscle training on respiratory function and swimming endurance in divers at 55 fsw (~16 m). They found that respiratory muscles were less fatigued following training, breathing rate was lower during the swims, and that the training increased the duration they could swim by about 60%. They concluded that respiratory muscle fatigue limits swimming endurance at depth, and the increase in swimming endurance may result from reduced work of breathing or improved respiratory muscle ability. The second study by the same group looked at the different benefits of training the endurance and strength of the respiratory muscles. Eighteen SCUBA-certified swimmers were randomly assigned to a placebo group who didn't train their breathing muscles, a respiratory endurance training group, or a respiratory strength training group. Each group used a breathing resistance device five days a week for 30 min over four weeks. The endurance trained group decreased heart rate and ventilation during underwater swims. Both the endurance and strength groups improved fin swimming endurance. The placebo group experienced no changes. The researchers concluded that respiratory muscle training is effective in improving swimming endurance. They told me they found it is also effective for endurance running, but perhaps not as effective. They are working on finding out why. My friends who do long stints in submarines mentioned they like to use respiratory muscle training to help keep them in shape since they can't go out for a run while on sub duty. It's not a big effect and real exercise will always be more effective than using only parts of it. "Are you a real mermaid?" asked 7-year-old Claire. My readers had long been asking me for scientific information about skin and scuba diving, training for triathlon swims and breath-hold diving, getting in shape for beach life guarding, science of swimming, Navy undersea maneuvers, and many aquatic adventures. Then, at a gathering I attended, the young granddaughter of a friend asked a simple question. It was her birthday. She wore a mermaid costume, and held her gifts of assorted mermaid dolls and toys. Claire loved mermaids. My mother, a teacher of Russian circus arts, came to her party as a surprise and was teaching everyone to juggle scarves. Through the moving scarves, looking like sea waves, one of the mothers pointed my way and said, "Claire, look, that's the lady who lived under the sea - she's a mermaid!" Claire edged over. She asked me, "Are you a REAL mermaid?" I thought before answering: I had devoted years of research career studying the human body diving deep underwater. I had lived days at a time inside research chambers simulating high and low pressure conditions. I had lived in actual undersea vessels on the sea floor called habitats. I helped test and pilot small submarines. But these were living in air pockets, breathing air. I thought a bit more. I had been a competition swimmer, training 5-7 miles every day, but that was in a pool. The longest I swam at once was 20 miles. 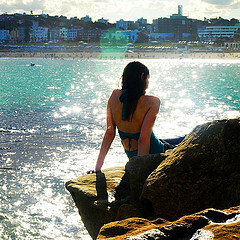 Not as much as I imagined a real mermaid could easily swim. I had done open water swims across lakes and in rivers and harbors. I did ice swimming in winter. But that is still just swimming. I am a scuba instructor, who taught students and led trips far underwater. I had my scuba students and dive trip participants dress in all manner of costumes and sports clothes and we did underwater tennis, ballroom dancing, drove pedal cars and bicycles underwater, held umbrellas, and did underwater karate. But still, we breathed air from tanks or surface supply hoses, or did long breath hold dives from the surface. I worked with one of the greats in diving medicine who had worked developing liquid breathing long before the movie "The Abyss." I had put myself through school life guarding and teaching swimming at a city pool. I had guarded beachfronts and competed in lifeguard contests, running the beach in a small red swimsuit and red rescue tube, body-paddling a rescue board over crashing waves to dive down and lift a human to the surface like stories of sea-dolphins, or maybe mermaids, buoying drowning sailors. I had lived in Japan and got to study the legendary diving women, spending long deep dives in hazy green cool waters, appearing briefly at the surface with seaweed decorating my long hair. I ate algae and sweet sea grasses. I love the water. I feel at home in the water. Then I spoke, "No." Claire crinkled her small nose and stomped away. "NOT a REAL mermaid!" I turned to my friend and asked, "Should I have lied to your child?" She said, "Tell the real stories." Here are some of them. Coming Next - The AmaSan Japanese Diving Women. My husband Paul and I had trained in the martial arts together since our teens. Years later, we were both black belts, teaching martial arts. One day I asked Paul what was his life dream. He told me he wanted to train in Japan. I found work there teaching at a medical school, getting the chance to do some interesting comparative orthopedics, found a place to stay with people we had once helped, and arranged to train at the Japan Karate Association, the JKA. Eleven days after arriving, we suddenly had no more place to stay, and were standing outside on the street needing to immediately speak more Japanese than karate and medical words. Back then it was not customary to rent apartments to foreigners so it was a bit difficult, but we managed to find an inexpensive room to live in northern Tokyo. We also lost the JKA invitation as our room was not in the same area. We found a nearby dojo (karate training school) in a completely different style, and started training daily. They were kind to let us in, and we worked until they invited us to their training camp of a Japanese living treasure. We left our little place to head south. After the training camp ended, we traveled in the coastal areas of the renowned Diving Women of Japan. I had heard of them since I was very small, studied them in graduate physiology classes, and wanted to know if the stories were true. We were invited to stay with the Ama diving women in several villages. "Ama" literally means "sea woman" in Japanese. When you spell 'ama' you use two kanji characters, 'sea' and 'woman'. In Japan, they are more properly called Ama-San; "San" is an honorific suffix. The Japanese have long held these professional diving women in high regard for their hard-working life. The SeaWomen have breath-hold dived in chilly waters for perhaps thousands of years to harvest shellfish, seaweed, and other food. They were the major providers for their villages. At one time, the Am-San were the world's largest fleet of commercial divers. Now there are few left. The youngest are in their 50's. The oldest working divers are now 70 and 80 years old, and even older. No younger girls want to become Ama-San. The daughters move to the cities, not wanting to train in the cold waters with their mothers. Soon there may be no more. In the West in the 1960's and early 70's, there was a sudden scientific interest in studying the mammalian dive reflex. Many studies centered on the Ama. Scientists wanted to study how deep they dived and for how long, to measure slowing of heart rate and redistribution of blood from limbs to the core, representative of the dive reflex. Studies were also initiated to estimate oxygen saturation and decompression stress. It was often conceded that the real interest in the Ama was because they dived nearly naked. The previous story above, told of our travel to several Japanese villages to live and dive with the AmaSan breath-hold divers, the SeaWomen. It continues here. The SeaWomen told me their stories. "I started when I was eight years old," one told me. "I gathered kelp and seaweed on the beach. As I got better and older, I could go further in the waters, and bring more food." None had any knowledge of Ama history before their own family's time, or of other Ama-San in other villages, nor did they care. Almost none of the working AmaSan who I stayed and worked with, spoke any English. Friends interpreted, and through my amusing broken Japanese I asked them about their dive profiles - how deep they dived, for how long. Did they do deeper dives first or shallower. Did they have injuries from the pressure, the cold, did decompression bubbles form, did their heart rate change – many of the questions of the early studies. Many serious early studies of the Ama-San claimed to have measured and asked these same questions. The Ama-San were uninterested. Staying deeper or longer is not what they measure, remember, or care about. The recurring answer was always about harvesting more kilos. Each was proud of how much she was able to gather diving unassisted (cachido diving), how many kilograms of food she hauled up to her husband waiting in the lonely boat (deeper depth funado diving), or that they dragged onto shore in baskets. They enjoyed the time spent with the other SeaWomen between dives around the fires on the beach, without housework or being told what to do by the constraints of society. They told me stories of the sea, of love, and dragons, and magic. A common image is the SeaWomen diving for pearls. The Ama didn't dive for pearls, but food. Before it was discovered how to artificially cultivate pearls, pearls were too rare to be counted on for a living. Kokichi Mikimoto of Japan financed development of cultured pearl science in the 1900's. Ama divers were hired to place and care for oysters in submerged beds. They didn't dive to bring them up. At Ise-Shima in the Mie Prefecture, the Mikimoto Pearl Museum teaches the generations about the development of cultured pearls, and as a tourist attraction, about the Ama-San, but this is not the real Ama diving. We went to the Ama-San festival in Shirahama's Nojimazaki district on the tip of the Boso-Hanto Peninsula, about 100 kilometers (60 miles) southeast of Tokyo. After all-day festivities and prayers in a colorful, carnival atmosphere, they walked solemnly past applauding crowds into the chilly night sea and swam holding torches. In villages along the Japanese coasts, diving by the AmaSan for sea plants and other harvests goes on without tourist fanfare. We dived in the cool, dim waters, rubbing leaves on the inside of our masks to prevent fogging, although there was little to see anyway. The AmaSan, the SeaWomen, told me that during "the war" soldiers came and were horrified that they dived in only small underwear pants. The women told me they thought Westerners were funny and strange for their discomfort about diving naked in cold water. But after that, they were made to wear clothes for diving. I experimented with diving in clothes versus none. It is colder and clumsier to wear clothes in the water, especially over repeated dives. As people know who hike or pack out gear, wet stuff is hard to deal with, change, and keep clean. It's easier without clothing. The old traditional diving garments were white. Now, commercial wetsuits are worn for the AmaSan working day. With exercise in the cold, your body makes several different adaptations to tolerate cold better. You need cold exposure to keep those adaptations. The Ama divers mentioned that before they used clothes, they tolerated cold better. After wearing cotton suit insulation and wet suits, they lost tolerance. They dive throughout their pregnancies – even up to the moment of delivery. They don't find that unusual, but more comfortable than moving heavily on land. They said they had no problems doing hard cold diving while pregnant, and their children were all born healthy. They all dive during menses. They told me that during "The War" (WWII) they had no sanitary supplies so were happier to be in the water anyway. They said the work is terribly hard. They asked me to tell the world that. I asked them many questions – "If I wanted to become a SeaWoman, can I?" "Eei No! You too old!" they said. I asked if an outsider, someone who wasn't the daughter of the Ama-San wanted to become an Ama diver, could they? The diving women didn't understand. They shook their heads, "Eei. No, the daughter do not stay." I asked if a son wanted to become an Ama-San, could be become one? Most laughed at me immediately. Others looked at me for a moment to be polite, before laughing. "Eei, they can't do this work. Too cold for them." I asked again, if someone's else's daughter, unrelated to a diving family wanted to join. "Eei no – the daughter all have gone." Years ago, the Ama-San regulated themselves to prevent taking too much. They wanted to preserve resources. They shortened the harvest season – which was roughly from April to September. The few thousand remaining Ama-San still make substantial money diving, although income continues to drop. Large-scale commercial fishing has depleted and polluted the waters so deeply and widely that there is little left for the SeaWomen. This is the opposite of what they tried to achieve by limiting themselves. "I was the best harvester," one told me. "Tell them that. Tell them I made more money than my husband. Tell them that." In the previous stories above, I wrote about the Japanese diving women, the Ama. Readers asked about the divers of Korea. Although they are sometimes called Ama divers, "ama" is a Japanese word. The Korean diving women are the Hae-nyao. Both ama and haenyao mean "sea woman." The Korean divers are also called Jamsoo, or diving lady, and Jam-nyao, or diving woman. The diving women are a respected profession of hard work to gather food for their communities. The work is difficult and cold. The numbers of both Ama and Haenyao are decreasing every year, as the daughters who would take their mother's roles go to other work in the cities. The first recorded Korean diving (that I know of) is from the 400's A.D. around the Chechu (Jeju) Island area. It is likely that diving had gone on centuries before that. The Haenyao historically dived all year (even in Winter), and without assistance of weights or ropes to ascend or descend. They made as many as 30 dives an hour, to depths from 10 to 30 meters, at temperatures in the winter as low as 10 C.
In the 1960s, many physiologic studies were carried out on the Ama and Haenyao to see what their lung volumes were before and after dives, their temperature regulation and tolerance to cold, their ability to tolerate strenuous work, changes in heart rate and blood distribution during breath hold diving, their physical characteristics compared to non-divers, how alveolar gases (oxygen and carbon dioxide in their body) changed during their breath hold dives, and other interesting topics. Some say that the sudden huge scientific interest was because they dived nearly naked, Diving clothes varied by geographic area, with some divers wearing only a rope belt or loincloth. No fins were used to help swimming. Later when wet suits were developed, only male divers wore them. Women were prohibited protective suits by their cooperatives, since they were considered more cold tolerant to begin with, and the advantage of the suit would "accelerate over-harvesting" Later, the work became pretty much exclusive to women. Taking many large breaths before a breath hold extends time because "over-breathing" lowers carbon dioxide in the body. Carbon dioxide signals you to breathe, so it is protective to have it build and make you want to return to the surface before you go unconscious from lack of oxygen. Hyperventilating (too many large breaths) before a dive can cause a drowning accident. The haenyao and ama practice a short hyperventilation with a distinctive whistling maneuver which was studied to find why it may not cause the problems of hyperventilation without the maneuver. To call them "The haenyao women divers" is redundant. The word haenyao already means woman. I asked them what the males were called and the Haenyao laughed at me, saying that males cannot withstand the hard work or the cold, and it is known that women do better in the cold. Dr Suk Ki Hong, one of the best known researchers of immersion and the haenyao and Ama divers wrote, "The shivering threshold is elevated as compared to men, and thus women are distinctly in a better position than men to work in cold water. Undoubtedly there could be many other reasons. However these facts lead us to postulate that men could not compete successfully by virtue of their poor tolerance to cold." Sadly, Western sport divers started writing articles and presenting lectures at dive conferences in the 1990s, mistakenly claiming women did not have better cold tolerance and had greater risk of cold injury. The myth was repeated in diving magazines, scuba classes, and textbooks of the era. Are there male indigenous divers? Yes. I will write of them and their stories in the future. Stay tuned. Frothy cough when coming up from a dive might mean lung over-expansion injury occurred on the way up. What about a strange cough at the bottom? Or with no dive at all? Pulmonary edema is usually heard about in climbers at elevation, and sometimes swimmers in races or hard training. There are cases known in marathon runners, bicyclists and rugby players. It is also something scuba divers need to know. "I am an Ironman triathlete and have recently experienced symptoms of swimming induced pulmonary edema on two occasions this year and am trying to find as much information about this condition as possible. ... In both instances, my breathing became labored and fluid built up in my lungs during the early stages of a competitive triathlon swim. "The most recent instance of what I suspect was "SIPE" was in July at Ironman USA. After the swim portion of the event, I had to be taken to the hospital as I was unable to breathe and was coughing up a pink frothy foam. I felt normal within 24 hours and have been able to continue to train as normal; initial ECG and Echo tests of my heart are normal, as well as a lung scan and X-rays of my lungs, throat and sinuses. "The problem has only occurred in two of four triathlons I have been in this year. Both instances occurred at aproximately the 750-meter mark of an open water swim. "It doesn't seem to be a common ailment so I’m trying to gather as much information on SIPE as possible from anyone who has studied it. I'm primarily trying to find out how to prevent it from happening. I am fine in training in the same 'open' cold water as I race in, so why is it happening on race day? Edema is a general word for too much body fluid accumulating in any cavities or tissues. In pulmonary edema, it is the alveoli, the tiny air sacs of the lungs, that fill. Lungs don't function well when fluids leak in. That is why a main symptom of pulmonary edema is shortness of breath. The British spelling is oedema. American spelling is edema. Several conditions common to swimming and diving shift some blood and other fluids from the vessels in your limbs into the vessels of your central circulation. That is normal and no edema occurs. Extra fluids and other blood components stay in your vasculature as much as they are supposed to and cross out to serve cells in normal amounts. When your body notices extra circulating fluid, it secretes different compounds that tell your kidneys to collect, filter and send out extra volume. Blood vessels aren't like tubes that only transport blood to some end point. They select many small molecules and some cells to pass through them all the time for nutrition, repair and infection control. Different vessels regulate rate and kinds of permeability for different purposes, but all control their permeability. Vessel permeability is an exciting and interesting area that governs many topics in exercise training, illness, medication development, treatment of cancer and others. Unhealthy changes in permeability, leading to more fluid leaking into spaces where they should not be, is the problem. Pulmonary edema can occur without diving or other activity if a person has certain illnesses. It can also occur in healthy people, every now and then, if conditions during a dive or swim combine enough to overwhelm vessel permeability control. Fluid leaks from the bloodstream into the alveoli. Fluid in the alveoli interferes with gas exchange. The extra bottleneck of fluids also makes it hard for the heart to pump properly. If illness or injury of the heart by itself causes the heart to not pump properly, fluid can back up in the lungs. That is cardiogenic (caused by the heart) pulmonary edema. Non-cardiogenic (not caused by the heart) pulmonary edema is what most climbing and immersion injuries are thought to be, unless the person also has cardiac contributors, high blood pressure, diabetes and others. Sometimes both happen at once. Negative pressure breathing: This is breathing in against resistance, such as with a snorkel, or swimming with the chest below the surface and the head out. 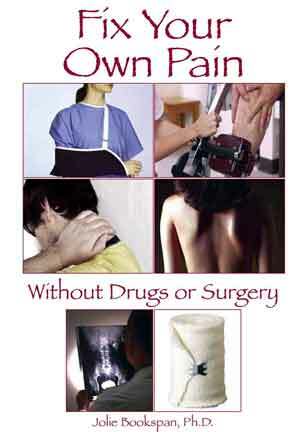 Drugs: Some drugs, both prescription and illegal drugs, such as heroin and cocaine, are associated with lung injury. Illness: Certain illnesses increase existing heart and lung loads. Cold water? Pulmonary edema has occurred in surface swimmers and scuba divers in both cold and warm water. Numbers show it seems to be more likely in cold water. Cold exposure by itself raises pulmonary artery pressure so may be one of the factors in pulmonary edema in cold-water distance swimming. Cold is only one of the several proposed contributors. Inhaling water: Non-cardiac pulmonary edema can result from the direct pulmonary injury from aspirating (breathing in) water. Hypoxia: You can have pulmonary (and cerebral) edema from hypoxia. Pulmonary edema occurring from a near-drowning accident is thought to result directly from alveolar hypoxia, just like what happens with high-altitude pulmonary edema. Reasons for edema at elevation aren't all known. It's a noncardiogenic edema. It's thought to be mostly from hypoxia — too much pressure from localized overperfusion plus changes in permeability of pulmonary capillary walls makes fluids leak into the alveoli. WIth immersion, several factors combine. After pulmonary edema develops, it creates a more hypoxic situation from the reduced heart and lung function, furthering the problem. Individual contributors: Someone may have a low hypoxic ventilatory response (just aren't stimulated to breathe as much as someone else) or if they have a congenital absence of their right pulmonary artery. Myth 1 - Does immersion in an upright position make more blood centralize? Position itself underwater does not matter. What happens is that when you are underwater, some of the blood volume that normally pools in your legs redistributes to your upper body. Since pressure increases with depth, it is often assumed that in a person upright underwater, the greater water pressure on the feet compared to the head is what squeezes blood headwards. But blood centralization also occurs when you are upside down underwater with your feet above your head. Blood is not squeezed upward from head to feet. Centralization also occurs when you are horizontal in the water, even though that is a sideways movement of blood volume. It is not the pressure gradient from deeper to shallower that squeezes blood upward. It is water pressure nearly matching pressure increase down the column of your own blood vessels, removing venous pooling in the legs. Fluids centralize with immersion regardless of body position. Centralization itself does not cause edema. It is when fluids leak into the lungs that causes problems. Myth 2 - Is it water pressure that squeezes blood out of the skin into the lungs? No. Increased pressure from being immersed can't squeeze blood out of the skin, muscles, fat, or vessels. Divers learn about Boyle’s Law. Don’t forget Pascal's Principle. Pascal's Principle describes how body tissues transmit the same external fluid pressure equally to all body areas. There is no difference in pressure to push internal fluids anywhere, the way you can with gas. Transmitting fluid pressure with no compression or bulk transport is the basis of hydraulic machines and decompression sickness, but not overpressure injury or changes in blood volumes or capillary permeability. As in Myth #1 above, it is not a pressure gradient or compression that shifts fluid volumes, but removal of venous pooling. Even then, all you get is more fluid in the central body vessels resulting in more peeing but not illness or edema. All the factors of immersion change blood and fluid distribution. Given enough of them to overwhelm chemical control of vessel permeability, changes in amounts of proteins and other compounds changes osmotic pressure enough to draw fluids out of lung vessel walls into the air sacs. What are signs and symptoms of pulmonary edema? Obvious signs are shortness of breath (not just fatigue) and coughing bloody froth. With a stethoscope you can hear an abnormal rattling breathing sound called rales. When blood oxygen in the arteries is checked, arterial oxygen may be lowered. Chest X-rays can show a pattern that identifies the problem as pulmonary edema, depending how soon after an acute injury the scans are taken. There are cases in swimmers where listening to the swimmer’s lungs immediately after the race revealed clear water sounds, but by the time X-rays were taken, hours later, the lungs had cleared. Can non-medical personnel easily detect pulmonary edema? A swimmer or diver with shortness of breath and cough alone may have something else occurring, like exercise induced asthma, inhaling water or other problem. Pulmonary edema is not subtle. The person is usually gasping in air hunger. They may be spitting pink froth and asking for help with a worried look. They may be attempting to loosen their wetsuit trying to get more air exchange, without it helping. What is first aid if immersion pulmonary edema is suspected? In healthy people, moving from the conditions that cause immersion pulmonary edema is usually all that is needed to reverse the course. Sit them up to elevate the head, if conscious. People with immersion pulmonary edema usually breathe more easily upright than lying down. Obviously, ask them how they are most comfortable and adjust to their needs. Give 100 percent oxygen by mask if available, and get them to an emergency facility. Do wetsuits provide any protection against pulmonary edema? Difficult to say since it has occurred in people with and without wetsuits. I haven't seen charts where the numbers of each predisposing possibility, like protective garments and temperature, were compared. While wetsuits may provide a bit of protection against cold, it is also speculated that tightly fitting suits and wearing compression garments may contribute to increasing central fluid loading. Just in case, loosen compressive exposure clothes and gear. What can help prevent pulmonary edema? Several things increase fluid load that are part of normal healthy exercise, such as exertion, cold, exposure to elevation and immersion. Be in shape for them. Being in better shape and avoiding junk food reduces risk of high blood pressure, diabetes and needing medicines that increase fluid load on the heart and lungs. Don't drink lots of water before swimming. If pulmonary edema is untreated and the swimmer or diver continues in the water, what could happen? Depends how serious, and underlying health. Symptoms can resolve on their own or they can get worse. It's like other injuries. There have been deaths. We wonder how many people who suddenly went under were not drowning but developed pulmonary edema. We have no way yet to tell. Drowning also produces pulmonary edema after the fact. Repeat cases of pulmonary edema can occur in the same person. Interestingly, frothing pulmonary edema occurs in racehorses after hard races. They are blowing bloody nose froth all over. Veterinarians have reassured me that the horses are fine. Any readers who are veterinarians, please tell me more. If it is a diver who is frothing, get them safely out of the water, and get help. In many areas where jellyfish are common, a plant that relieves jellyfish rashes is also common. Here is how to identify the plant, and use it to make a quick remedy. Swimmers and divers in warm shallow waters may feel sudden, tiny, stinging pinches while still in the water, then more after leaving. Stings are usually in areas covered by their swimsuit or clothing worn to swim, or around the neck, wrists, and ankles of full exposure garments. Friction from clothing and folds of skin where the arms and legs meet the body, contact with a surfboard, lying on the beach, sitting on a car or boat seat in wet bathing clothes, drying off with a towel, can all set off more stings. A fresh water shower while wearing bathing garments can trigger more. Even more stings may occur if the same bathing clothing is worn again within several days, even if rinsed. The stings are from tiny larvae of jellyfish and other marine organisms that get trapped under clothing, and held there, like in a net, after leaving the water, setting off stinging cells called nematocysts. Incidents of multiple, painful, itchy, red dots, mostly in areas under bathing suits, is called Sea Bathers Eruption. It is sometimes misnamed "Sea Lice" even though real sea lice are small parasites that affect fish. Sea Bathers Eruption is from pinhead-sized larvae of marine animals called cnidarian, including jellyfish, sea anemones, corals, hydroids. Like stings from adult cnidarian, Sea Bathers Eruption, which is from the larvae, can persist uncomfortably, sometimes seriously in children and some adults. Sea Bathers Eruption is known in many languages. In Spanish it is called "Pica-Pica" which means "Itch-Itch." Antihistamines and anti-itch creams like hydrocortisone usually do little, and for some people, nothing. Salves containing a good quantity of menthol help a bit. Vinegar is an effective first-line antidote for initial stings, but itching and pain persists from the rash that remains, usually for another week, sometimes more. What else can work better? 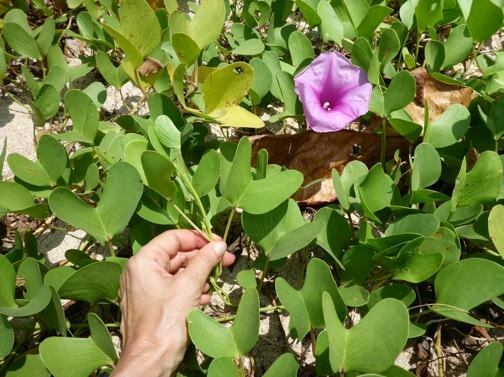 You can make your own effective remedy from a beach plant. 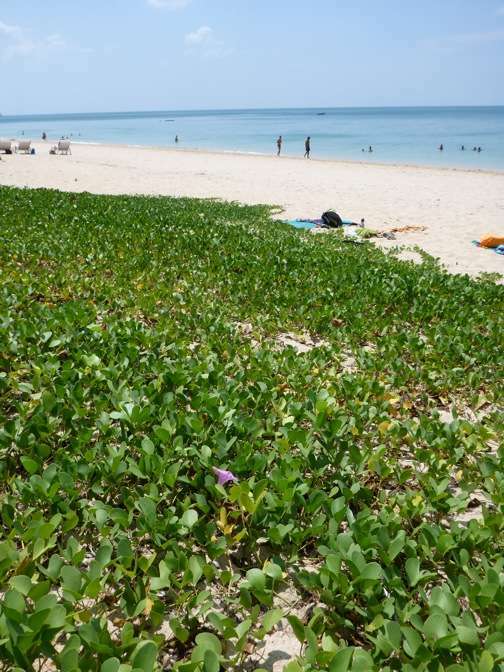 A salt-tolerant creeping vine grows along the same tropical and subtropical beaches where jellyfish are common. The botanical name is Ipomoea pes-caprae. Aboriginal medicine of many tropical areas has long used this plant for stings, each with their own names for it. English names are Goat’s Foot Creeper, for the shape of the leaves, Bayhops, and Railroad Vine. It is in the Morning Glory family. In Thailand, it is called Pahk Boong Talay, meaning "Morning Glory of the Sea." While many "natural" cures for all kinds of ailments are usually only sales tactics, and untrue stories about food and medicine are passed down over time without testing, this plant is increasingly field tested as useful for stings and Sea Bathers Eruption. It can also be applied topically on insect bites, allergic reactions, and other rashes. In serious cases, get immediate health care assessment. Goat’s Foot Creeper is named for the shape of the leaves and vining habit. Goat’s Foot Creeper is a common beach plant in warmer areas of the world. It grows in dense mats that are a natural sand stabilizer on beach slopes and dunes, just above the high-tide line. The seeds float, like most seeds, to colonize other beaches. Look for masses of green, bi-lobed leaves. Goatweed is good for beach retention and good for stings. Large, purplish, funnel-shaped flowers grow upright on single stalks. They bloom at sunrise, close around mid-to late afternoon, and drop off the next day. New flowers continually grow. The leaves are safe to pick by hand. There are no irritating oils, thorns, or prickles. Recipes for sting cures usually say to crush the leaves with a rock or in a mortar and pestle. I found that in the field, the strong leaves are good at resisting pounding, and mostly break into smaller, still-dry, thick pieces. These are plants that excel at withstanding hurricanes. 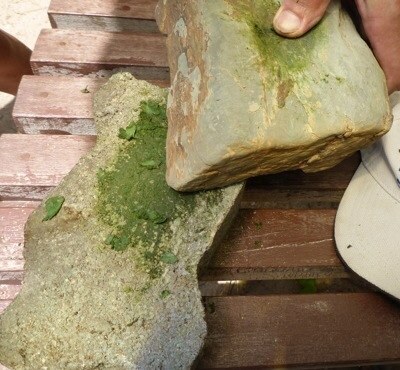 Rock and shell crushing against a rough surface using a sea-shell makes the needed wet paste, but only in small amounts at a time, and takes too long to make enough for a person covered in painful bumps. The quick field recipe described in this article does not use heat and is for use when you need to make something immediately. (A common Australian recipe involves heating the leaves.) Add vinegar to make a spreadable paste. The result is superior to vinegar alone, and stops itching and reduces swelling. This paste can leave green stains on clothing. Use on skin and avoid clothing where possible. from larvae of the jellyfish. Stings that scare a dermatologist. What Do You Know About Hyperbaric Oxygen Treatment? Hyperbaric chambers were used for medical treatments, some genuine, some not, long before decompression illness from diving was understood. In 1662, British physician Nathaniel Henshaw created an airtight chamber that he called a domicilium, in which the air inside could be compressed or decompressed using organ bellows and valves. Without systematic basis or inquiry, he decided it would aid digestion and breathing, and that acute conditions would be treated with increased air pressure, and chronic conditions would be best treated with decreased air pressure. By the 1800's, hyperbaric chambers became the latest fad for the fashionable throughout Europe for all kinds of medical and health treatments. Around 1840, a strange illness was reported in workers using pressurized tubes to construct tunnels under rivers and bridge foundations. During the building of the Brooklyn Bridge (1969 to1873), the illness was known as The Bends because victims characteristically bent with pain. The pain occurred after leaving the pressurized boxes called caissons in which they worked at the bottom of the river. Dr. Andrew Smith, the project’s physician, first used the term caisson disease for this affliction. In years that followed, studies were done by scientists in several countries on causes and treatments of the disease in which, it was noted, “One pays only upon leaving.” Treatment was often “spirits of wine” (possibly cognac) applied externally and internally. By the early 1900s it was becoming clear that going back under pressure would help workers with caissons disease and divers with decompression sickness. For the first part of the 20th century, hyperbaric facilities used air. Beginning in the late 1930s, evidence grew of clinical benefits of oxygen for treating diving and decompression injuries, and in applications apart from diving. "Hyper" means more or above. "Baro" comes from a Greek word meaning weight or pressure. Two words that use this root are barometer, an instrument measuring atmospheric pressure, and bariatrician, which is a physician who manages weight problems and obesity. Pressurization using oxygen is often called HBO2 meaning hyperbaric oxygen (O2). HBOT is short for hyperbaric oxygen treatment, chamber treatment, and other names, all generally meaning the same thing. What Are Main Things That It Can Help? Hyperbaric oxygen treatment is used to treat divers with decompression sickness and air embolism. Hyperbaric treatment has also been found effective for treating problem wounds that do not heal, such as diabetic ulcers, radiation wounds, problem grafts and trauma resulting in areas of ischemia (inadequate blood supply) such as crush injuries, extreme blood loss, and thermal burns. Hyperbaric oxygen treatment is recommended for carbon monoxide poisoning, even in pregnancy. It stops infections like gangrene that are from organisms, called anaerobes, that cannot live in air and infections like necrotizing fasciitis, sometimes called "flesh-eating bacteria," where bacteria don't eat the skin as the name seems to say, but release poisonous products that quickly destroy skin and muscle, causing pain, disfigurement, and a high death rate. An important thing that high pressure treatment does is mechanically reduce size of bubbles. Then areas of the body that are blocked by the bubbles of decompression sickness or embolism can have normal blood supply and gas exchange restored. Decompression bubbles are foreign entities, provoking a cascade of defenses. Many of the results cause injury to the microvasculature, which in turn, creates new problems. Hyperbaric treatment blocks this injury chain that started with bubbles. Reduces the ability of platelets to stick together at the blood bubble interface. For decompression sickness, high pressure oxygen makes a larger pressure gradient for nitrogen in your body to diffuse out. This outgassing gradient is also used in space vehicles before going outside to reduce risk of decompression sickness, because the spacesuits are not only lower pressure than cabin pressure, they are filled with oxygen. In cases of carbon monoxide (CO) poisoning, and CO complicated by cyanide, one of several crucial effects of hyperbaric oxygen is to speed the dissociation of carbon monoxide from hemoglobin which otherwise holds it tightly, preventing oxygen from being carried. Hyperbaric treatment also reduces or prevents several of the injurious effects of CO.
An important occurrence to know about is that body areas already damaged by blockade of bubbles or other obstruction of oxygen, such as clot, compression, hemorrhage, infection, or poison like carbon monoxide, can get a second injury when blood flow and oxygen are restored. This new damage is called a reperfusion injury. When blood flow (perfusion) is restored to any body area that was deprived, oxygen flows back into the area. That would sound helpful, but it makes a kind of oxygen that is not healthy, called oxygen free radicals, plus other harmful products, causing a new and serious injury called a reperfusion injury. Reperfusion injury is a consideration when treating things like heart attack or in limbs that may have been crushed or caught under something, depriving them of blood. It is important to know that flooding the body with oxygen is not all good. There are several ways that hyperbaric oxygen reduces some of the effects of reperfusion injury. Some depend on specific pressures to achieve. Injuries that can be helped by more oxygen are those that are hypoxic, meaning deficient in oxygen. Low oxygen levels also cause certain blood vessels to constrict or fluids to accumulate, further limiting oxygenation. Hemoglobin, the oxygen-carrying protein in your red blood cells, normally has all the oxygen it can carry when it leaves your lungs. It cannot hold any more, even with hyperbaric oxygen treatment. What is increased by breathing oxygen under pressure is oxygen transport in the plasma. Most injuries, aches, sores, cuts, tears, and so on are not hypoxic. More oxygen won’t help them— just as gasoline is the energy for your car, but more gas in an already full gas tank cannot make your car work better or go faster. In your body, supplying more oxygen to cells than they normally use can't make them use more. The extra is breathed out. Restoring oxygen tension to hypoxic tissue allows normal production of a fibrous protein called collagen, needed for wound repair. It also increases growth of new small blood vessels that would otherwise not be able to form because of tissue hypoxia. Healing occurs in formerly hypoxic tissue when oxygen is restored. Oxygen doesn't make more of this growth or repair in regular injuries that are not hypoxic. Hyperbaric treatment restores oxygen to hypoxic injuries so that the body can do it normal repairs. Hyperbaric oxygen can kill the kind of germs called anaerobes that like to live in low oxygen environments. Some live in our bodies without doing any harm. Other anaerobes create by-products such as botulism and gas gangrene. Anaerobes have not developed strategies against oxygen, so oxygen is toxic to them. Because oxygen is toxic to anaerobes, we treat gas gangrene and other anaerobe injury using high oxygen exposure in hyperbaric chambers. High-dose oxygen also corrects tissue hypoxia, the growth medium of anaerobes. Many kinds of bacteria and other infectious organisms live in oxygen environments. They may also proliferate in areas of reduced oxygenation, like some wounds. Restoring normal oxygenation at the level of the cells increases the ability of cells called leukocytes or white blood cells to kill bacteria. It does not have this effect on already oxygenated areas. It is an important adjunct to reducing wound infection in hypoxic wounds. How Is Hyperbaric Treatment Done? In general, hyperbaric oxygen treatment means breathing 100 percent oxygen at higher than usual pressure. Treatment is usually done inside a dry pressure chamber. In a multiplace chamber, several people can receive treatment at the same time. The chamber compresses regular air, and the entire body is exposed to the pressure. Because the oxygen delivery method is through breathing, not through the skin. each patient breathes oxygen through a mask, while attendants work in the compressed air environment of the chamber. A monoplace chamber is a smaller cylinder where a single person can fit inside, and attendants stay outside. Separately, there are new efforts to systematically evaluate if there is utility of in-water recompression for select diving injuries with large onsite support but no chamber access. 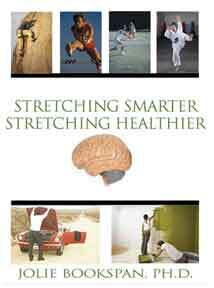 What About Sports Injuries And Enhancements To Training And General Health? For diving injuries like decompression sickness and air embolism, and for a sick patient with problem wounds and areas of ischemia, carbon monoxide poisoning, gangrene and specific infections, hyperbaric treatment can be life and limb saving. There is also encouraging new work looking at other grave injuries, with hope that actual benefits can be repeatably gained. It is not new to make claims for hyperbaric oxygen to a treat large number of illness or health wishes. Like most things, some are true, and some others are not holding up to years of studies or actual use. An upcoming article will look at some of them. Hand In Warm Water Myth - Is It True That If You Put A Sleeping Person's Hand In Water, They Will Wet Themselves? Is it true that if you put a sleeping person's hands in water, they will wet themselves? No. It is not true, but it is always worth a try for the sake of science. Dipping someone's hand or fingers in water will do nothing to make them release their bladder involuntarily. Even if you were immersed fully during sleep, this would still be so, as long-duration immersion experiments show. When awake, if you immerse your body in water and feel a need to “go,” as long as you are potty-trained, the signals still do not override your training. What Makes You Feel More Full? Increased output occurring with immersion is called immersion diuresis. That does not mean you will go involuntarily. Just that several factors increase wanting to go. Immersing your body shifts blood and other fluids from your arms and legs to the area of your chest called the thorax. A fun fact is that blood and fluids do not float out of the lower limbs into the thorax. Shifting volumes centrally is a buoyancy effect that is different. The increase in fluids signals volume detectors in the atria (upper chambers) of the heart. If volume is high enough, the atrial detectors tell your body to increase processes that send more fluid to collect in the bladder in order to normalize thoracic volume. The same phenomenon occurs in the microgravity environment of space travel too. Fluids shift away from the legs and into the upper body, just as during immersion in water. Astronauts have a technical term for this. They call it the "Fat-Face, Chicken-Legs Effect.” Still, no one is made to wet themselves involuntarily from all these processes. Being in a cold environment also shifts more blood volume to the thorax. That is why you often notice the phenomenon when stepping into a cold shower. In warm or hot water, the phenomenon is reduced. Blood vessels expand in your arms and legs in response to the heat. This peripheral vasodilation shifts blood to your limbs and reduces thoracic blood volume. The fact that warm water reduces the response offers even more evidence against the glass of water story: the claim is often that the water has to be warm. You have several complex muscles in and around the bladder, separate ones for the bladder's sphincter mechanism, plus modulatory centers in both the central and peripheral nervous systems. During your everyday activity, and during immersion, bladder volume normally rises bit by bit all day from normal body processes going on every moment. You don't go to the bathroom every moment from each volume increase or even feel you need to. The complex meshwork of muscles around the bladder relax to accommodate the volume, and the sphincter remains neatly closed. Control centers in your brain prevent bladder muscles from contracting (squeezing content) and sphincters opening to allow exit. In healthy people, brain modulation occurs all the time, during immersion, during space flight and during sleep. — There is no truth to the hand-dip story. It's just a story that gets repeated. — The receptors for the main diuresis response are not in the hands. More of your body, especially the face, needs to be immersed for you to sometimes feel like you want to urinate. Even then you do not go against your will. — You may feel more urge in a cold shower where you are not immersed. That is from fluid shifts due to temperature, which is another contributor to the whole effect. — You don't automatically pee when diving or immersing yourself underwater. You may feel like you need to go, and you may decide to. But unless you are very ill or drunk, you don't become incontinent. Is There Gravity In Space and Underwater? If there were no gravity in space, the moon would fly away. If there were no gravity in space, the moon could not exert gravitational pull on the Earth and make the tides. Communications and other satellites could not stay in orbit. Not much else would be in orbit either. Gravity does not go away in space then reappear on target bodies. Without gravity throughout known space, no planets, asteroids, or far comets, could stay in orbit around their star, or stars. Our moon and orbiting space vehicles would not be captured in orbit by Earth's gravity. Space junk that we formerly put in orbit would not reenter our atmosphere and fall in an arc toward Earth. Larger masses exert more pull. The farthest away particle of dust in the sky exerts smaller pull. There is microgravity, but no zero gravity. There is gravity in space. Always. Isn't Weightlessness In Space From Lack of Gravity? Astronauts and their vehicles in orbit have gravity acting on them all the time or else they could not remain in orbit. They experience the sensation of weightlessness from being in free-fall. If you fall from a height, you feel weightless, until you experience a real property of the surface you land on called the contact force. A contact force requires contact with something. Weightlessness is a sensation when contact forces are removed and only gravity acts on you. Gravity is known as a "non-contact force." The non-contact force of gravity acts on you all the time. Everywhere. 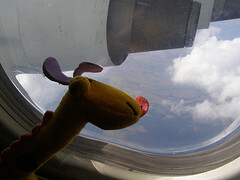 When you are in an airplane that climbs sharply, you feel heavier even though gravity is the same. You feel more contact force. If it descends very suddenly, you feel lighter because you feel less contact force. If you are on Earth and standing in an elevator or trapdoor, and the bottom falls out, you feel temporarily weightless because of experiencing no contact force, even though gravity remains the same and in full force the whole time. Isn't The Force Of Gravity So Much Less in Orbit? At a crewed orbital distance from Earth, the force of gravity is not that much reduced from value on Earth. Very simple maths shows it is less than on the earth's surface, but not a great deal less. If gravity were the only consideration, people in an orbiting craft would walk around nearly normally, just feel lighter. Objects would still fall if dropped. That does not happen. There is almost as much force of gravity, but they feel weightless because of lack of contact force, because they are in a continuous free-fall. Human orbital missions and most satellites are in Low Earth Orbit, meaning altitude under 1,200 miles (1931 km). By contrast, distance from earth to the moon is 238,900 miles. The International Space Station (ISS) averages 240 miles up (386 km). Previously, when the Shuttle was in orbit, it varied from approximately 190 miles to 330 miles up (approximately 305 kilometers to 531 kilometers), depending on mission. The former space station Mir (approx 223 miles) and Skylab (~146 miles) were also in that range. If they accelerate the craft or propulsion suit in any direction, they will feel heavy with the contact force of their seat or other surface pressing on them. If they or their craft collides with another object they will strongly feel pressed. Other than that, with the same gravity acting on them, they feel weightless. If you are inside a station orbiting the Earth, both the space station and everything inside it are free falling together with the same acceleration. If you drop something inside the station, it would fall at the same rate as you and the craft, so would not move relative to you or the craft. As as long as everything is falling at the same rate, there is no contact force acting on anything and the sensation of free fall is weightlessness. Gravity still exists but if nothing hits you, you feel weightless. How Is An Orbit A Free-Fall? If an orbit means you are going around another body, how can you be falling? Imagine throwing a ball. After you give it the push, it has no more push after it leaves your hand. It continues forward from the initial push while it is pulled downward by gravity at every tiny instant. There is also air friction which slows it a bit. The forward motion countered by gravity at each point in time makes an arc, and it is falling (in free-fall) all the way down. Imagine firing a projectile from a firearm. After the explosive force of the propellant, nothing more pushes the projectile. It goes farther and faster than you could have thrown it due to greater initial push, and the contact force will be greater when it meets another object. With, or even without, air resistance, it still falls in a curving path downward due to gravity, and is in free-fall all the way down. Now imagine firing a vehicle far enough to clear the massive air resistance it will encounter. Until it fires rockets again, the only force on it is gravity. (There is still very slight air resistance because space is not a total vacuum either). The vehicle will travel in a falling arc. Because it is so far up, it continues past the curved sphere of Earth at each point. If not for gravity, it would continue straight past the curve and out to space. Because of gravity pulling it at each instance it continues circling. When you throw a ball (1), gravity will pull on it at each point in its forward path, making the path of the ball curve as it falls. A powered projectile travels farther (2) but is still pulled by gravity at each instant. A vehicle that can be projected far enough up, will still fall from the pull of gravity, but miss the curved surface at each point in time (3). An orbit can be set up around any axis (determined by cost and purpose). No matter which way they go, they will fall around a curved earth. There could not be the different kinds of satellites we have if Earth were not a sphere. No matter which way they go, they will fall around a curved earth. 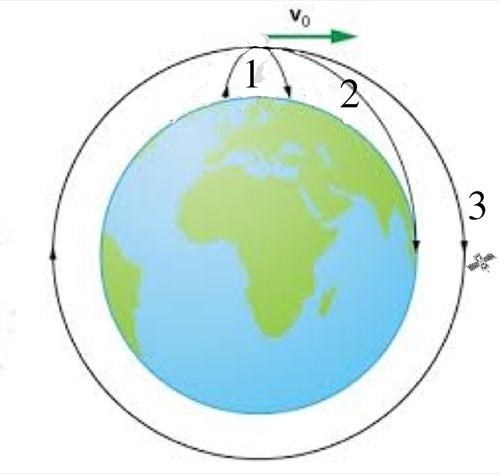 There are kinds of satellites that match rotation and speed of earth in order to stay over one point (geosynchronous), but they are still falling along their arc around the curve. They don't hover like a drone, that would take massive power. They free fall. 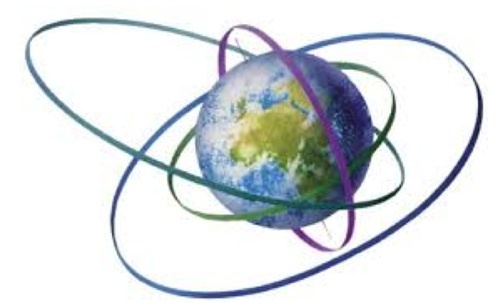 Objects can orbit the earth at any axis. As they continue in the direction of their initial push, gravity continually pulls as they travel past the curved surface, making their path a curved one. Yes, In full. Absolutely. If there were no gravity, all the fish would fly away. So would the water. Underwater, things float, but not because of lesser or no gravity. Gravity operates on the water and everything in it, in full. Things float or sink according to buoyant forces. This is not semantics. Knowing which force is acting, and amounts of each one separately, affects every calculation and plan to build and power structures, vehicles (and more) used in these environments. No, you still have weight, but there is also buoyancy, which is a force. If buoyancy is equal or greater than your weight (depending on your volume), then you will not accelerate downward according to your mass and the gravity that always exists underwater. Take away buoyancy and you will accelerate downward (sink) the same as a rock, because you are not weightless. Weightlessness does not mean the absence of a gravitational field. If you are inside a submarine, with the ballast trimmed to neutral buoyancy, you will still weigh what you weigh on the surface of the Earth. If you drop a wench inside your neutrally buoyant submarine it will fall towards the deck in the direction of the center of the Earth with an acceleration very close to what it experiences at the surface of the Earth. Can You Ever Be So Far Away in Space That There is No Gravity? All bodies, including yours, is being pulled by, and is exerting a pull. Any two objects having mass exert gravitational pull on each other. As you get further away from the other mass, for example, the Earth or the Moon, gravitational pull on you decreases. How much does it decrease? The inverse square of the distance between them. But it is still there. Everywhere. Anywhere. What Happens in Space That Stops Blood From Pooling in Your Limbs? While in space, blood and body fluids shift from the limbs to more central circulation. Scientists and astronauts give this a technical name - "The Fat Face Chicken Legs Effect." Why? When you are in the free-fall of space orbit, blood does not pool as much in your dependent limbs. If your ship accelerates or decelerates, you will experience contact force of your seat or whatever you are being pressed against. Blood volumes will shift according to the acceleration axis, even at the same orbital distance and gravitational field. That means depending which way you are facing, blood and body fluids can shift headwards, or footwards, or any direction it is being directed by the changing acceleration force. When I worked in acceleration studies, we could place a test subject (a person) in a large centrifuge in a seat that could tilt in any direction, for example, sitting upright, reclining, tilted onto their back, upside down. By spinning them around and around at different speeds to create acceleration forces, we could have them experience blood being shifted more out of their upper body toward the lower body, or the other way, or in any direction. We studied fluid shifts from different climb, turn, and descent protocols, and develop training and equipment to increase their tolerance. I published the results of this work in the Divers Alert Network (DAN) newsletter in 1993. Knowing how soon you can fly after diving is an issue of safety. When you fly after diving you reduce the air pressure around you. That pressure kept the extra nitrogen from your dive dissolved in your body. Nitrogen can come out of your tissues into your blood faster and sooner than if you didn’t fly. That’s not good. If dissolved nitrogen becomes gas bubbles before you can breathe it out that could mean decompression illness (DCI). An obvious solution is to wait a maximum of time before flying. But wanting to fly soon after diving is also an issue of convenience and planning for dive travel. And for the military, flight delays can affect tactical readiness for sea and air operations. How do you know when? It’s a big question; more than can be answered in only one study. You can’t just have people dive then take them flying afterward and see how their day goes. In that case too many variables change at once. We need to separate out each detail. One approach is to construct the relationship between the ‘dose’ of pressure and the ‘response’ of gas phase formation. Pressure reductions, like those when you come to the surface after a dive, may produce small bubbles in your body mostly made of nitrogen. The bubbles enlarge according to Boyle's Law if you let them. Bubbles may circulate through your bloodstream and accumulate in places like your joints, nervous system, and skin. But how they form and grow is for another article. Detectable gas phases develop in humans after surprisingly small decompressions. In some previous work, we put male subjects in an underwater laboratory for two days until they were saturated with nitrogen. The depth was 23 feet. After subjects returned to the surface many were found to have bubbles detectable by Doppler ultrasound. The chamber was moved to a 16 feet depth in the second set of runs. Subjects bubbled. Even after coming up from saturation at 12 feet, about half of the subjects still bubbled. This brings up the intriguing questions of what is the minimum pressure reduction to form bubbles, and can this minimum be reached through commercial air travel? Pressure reductions occur during routine air travel. Extrapolation of our data from shallow saturation to altitude suggest that pressure reductions commonly attained in commercial and military aircraft may be sufficient to form a gas phase in humans. This prediction is consistent with a recent case report of DCI occurring after decompression to 8000 feet. But no study has examined if this extrapolation is valid. In other words, we don’t know how ‘extrapolatable’ the underwater data are to altitude. So we went to altitude to try it out. I put people in an altitude chamber to examine how much and how long human subjects produce a gas phase at altitudes of 10,000 feet. We stayed in the chamber at altitude for 12 hours during each run. We measured how long it takes before you start to bubble, and how long you continue to bubble. I listened for bubbles using Doppler ultrasound every half hour. Results were interesting. Bubbles occurred in 75% of the males within one hour of reaching pressure and persisted until hour nine of exposure. The only female subject was not observed to bubble. What Else Did I Look For? There was one main factor that I could determine, and measured specifically; ascent rate. I hope labs will want to know more about my work and my findings on this. Another question is why some people are more likely to form bubbles than others. Are things like age, gender, height, weight, body fat, and previous injuries really predisposing factors? Predisposing factors are important to know about, but little is yet known. In a study we did with 170 subjects coming up from saturation underwater we found a relationship between age and bubbles. That may not mean that getting older causes more bubbles, but that older subjects tended to bubble more than younger subjects for reasons we don’t yet know. What was the dividing age for ‘older’? Thirty. We didn’t find any trends between weight, body fat, or gender and bubbles. That means we didn’t find any bubble difference between larger or smaller subjects, fatter or thinner, or between females and males. From this very preliminary work we make the tentative conclusion that civilian airline cabin pressure ma, depending on flight program, may be sufficient to form a gas phase in humans, even with no prior diving. This study will continue with additional runs from 2,000 to 12,000 to establish a dose response relationship between altitude exposure at airplane cabin pressures and bubble formation. This work will add important information to the flying after diving puzzle. Thanks to 'The Recreational Diving Research Foundation' for funding toward this work. Readers sent me news reports that certain symptoms during air travel are due to altitude sickness. This seems simple enough. Air pressure inside common passenger aircraft is equivalent to mild altitude exposure. People who get symptoms when going to the mountains may get the same headache, tiredness, achyness, and other symptoms of altitude in flight. Drinking alcohol adds to symptoms. Severity of symptoms depends on several things, mainly how high the altitude, and how fast you reach it. Cabin pressure varies with cruising altitude and type of aircraft. During a flight, the inside of a large commercial passenger air flights may range between 5000 to 9000 feet (~1525-2743 meters), occasionally higher or lower. Small lower planes flying may be able to maintain pressures closer to (or equal to) ground pressures. How fast aircraft reach internal cabin pressures depends on the flight path, final cruising altitude, type of aircraft, and other factors. Some of my commercial pilot friends say they will pressurize the cabin far more gradually when they see babies onboard, so that they (the babies) cry less as pressure changes around their ears. Pressure change on the ears is not altitude sickness, just simple air volume change. Earplugs do not prevent this problem, and can make it worse in some situations. Future stories here can cover why. Susceptibility to altitude sickness does not seem to be affected by better or lesser physical conditioning, or any kind of fitness or physical training. It is still a hugely interesting topic to understanding how the body reacts to and works at altitude, why certain interventions work or don't, and how soon you can fly after going scuba diving - important to risk of decompression sickness. Captain Bill Slabonik athlete and pilot, and one of my students who went on to produce several Success Stories, wrote me, "Regulations require no more than a 10,000 foot cabin altitude (3048m) be maintained for commercial passenger flights. Anyone not acclimatized to altitudes between 7 to 10 thousand feet (~2-3 thousand meters) will feel some symptoms of a mild hypoxia, surely after several hours or/and a couple stiff drinks." The next story tells more about altitude sickness on flights and more interesting issues and a few proposed cures - Altitude Sickness, Viagra, and Bubbles on Flights. The previous story Altitude Sickness on Flights told how certain symptoms occurring during air travel are from exposure to altitude. If a craft were not pressurized, air pressure inside would be equivalent to air pressure outside. At high altitude, there would not be enough air pressure inside the craft for crew to be functional enough to fly. Crew in unpressurized craft wear oxygen-delivery equipment. This was one of my areas of study with the Navy. Passenger planes are pressurized. The inside is kept at higher pressure than actual flight altitude (equivalent to lower altitude). The pressure inside is still not as much as at sea level. Keeping that much air pressure inside would create extreme metal fatigue on the craft and huge fuel costs. Regular passenger aircraft keep interior pressure equivalent to mild altitude exposure. In past years, Viagra (sildenafil citrate) has been tested by various groups, including the military, as intervention against altitude sickness. Recently it was also found that the drug reduced symptoms, thought to be jet lag, after flights. My guess is that it was effective for symptoms from flights because of the same properties that may help reduce symptoms, in some, of altitude sickness. Another component that I discovered many years ago in my work in altitude sickness, was a bubble component - an altogether new dimension to the altitude sickness puzzle. Decompression sickness bubbles can form in the body when coming up after a scuba dive. I found the same kind of bubbles can form in your body when going to elevations encountered in aircraft and mountain travel, with no prior scuba diving. More of this in future posts. Decompression sickness is also an issue when going into space during extra-vehicular activities. 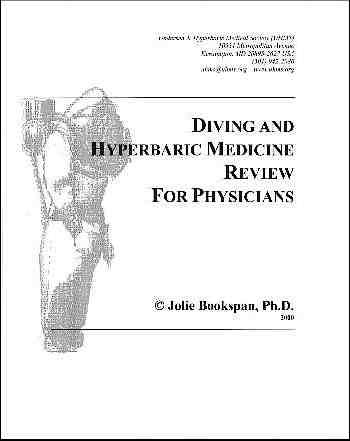 See the previous section on Diving and Hyperbaric Medicine, above. Altitude sickness in flight is different from (or in addition to) the motion sickness of flight motion, or being stiff after not moving enough during long flights. Altitude exposure is not always a bad thing - certain athletes like it for exposing their body to conditions that make it work harder. Check the rest of my web site for different kinds of athletic training at altitude, and training to perform better physically at altitude. The Indiana Jones movie, Kingdom of the Crystal Skull came out in 2008. It is set in 1957 with fun fitness and iconry of the era. In the early part of the movie, Indiana Jones and the Soviet Russians brawl through a US military testing base in Nevada. Jones and a Russian officer wind up on a rocket sled, which blasts them on a speed track into the desert. Rocket sleds are one of several devices that create and test the effects of high acceleration on equipment and the people who use them. High acceleration forces occur when jets take off quickly, when launching a space flight, to eject from a hit (compromised) fighter jet, on roller coasters and spin and fall rides, when you fall from a height, and any time you change speed and/or direction quickly. Interesting changes occur in the body under acceleration. Acceleration is one of the areas of my study as a research physiologist and was my work for a time at two facilities testing air vehicle and human systems. G-force is a measure of acceleration, not force, but the term g-force is also used for the reaction force that results from acceleration. More on meaning, spelling, and math of g and G in another post. Too much g-force can result in g-LOC (Loss of Consciousness), pronounced "jee-lock" in English, but just as meaningful when using the Cyrillic pronunciation of "loss." When piloting a multi-billion dollar property (the fighter jet) G-LOC is not a good thing for anyone. The pilot may convulse, called "doing an Elvis" because the flailing looks like playing an air guitar - a real air guitar. Then the pilot may "ding" (lose consciousness) and the vehicle may "descend below the level of the terrain" (crash) and "disperse energetically" (explode) and "value unfavorably" (be destroyed), and the crew and anyone they land on may "achieve a negative health status" (die). A rocket sled is a small platform. Rockets propel it on the ground on rails. It creates high onset g-forces for a time limited to the length of the track. When personnel or equipment riding it sit as in a car or plane, they experience acceleration pressing them from front to back (on an x-axis). To measure the higher g-forces with short onset experienced in jet bail-out procedures, a vertical ejection tower can be used. A small seat is propelled quickly upward by a contained blast force under it (like lighting a bomb). If they are positioned to sit upright, the acceleration acts on them from head to foot, on their y-axis. To experiment with varying accelerations over different amounts of time and onsets, one device used is a centrifuge. A long support arm swings around and around a center anchoring point -like swinging a ball on a string around your head. A container, often ball shaped, at the end of the support arm holds the equipment or personnel being tested. The ball can rotate to position the people inside at any angle to simulate the changing positioning of a cockpit during maneuvers, for example. What happens to the people in these testing devices? Often they throw up all over my nice equipment. Some of my test subject pilots used to have contests who could eat the worst thing to redisplay on testing day. One ate plastic bugs just for the fun he was sure to cause - then he didn't throw up, no matter what we did to him. In vertical (y-axis) ejections, there is high impact and acceleration forces on the discs and spine. Back injury is a concern for ejection scenarios. Vibration, both during acceleration and non-acceleration situations, such as for helicopter and jack hammer operators seems to be a high contributor to back pain. It is not known if the various vibration devices sold as fitness devices are of the kind (vibration frequency or amplitude ) that contribute to joint pain. G-LOC is another consideration. Why do we test it? To see how to prevent it, if we can screen for who is more likely to get it, if we can train those prone to it to be more resistant, and so on, in g-force tolerance improvement programs (g-TIP). The set of photos below is a well-known one of USAF Colonel John Paul Stapp, M.D., Ph.D., riding the rocket sled. He was a pioneer of acceleration study and is also known as the originator of the expression "Murphy's Law" for things that can go wrong. 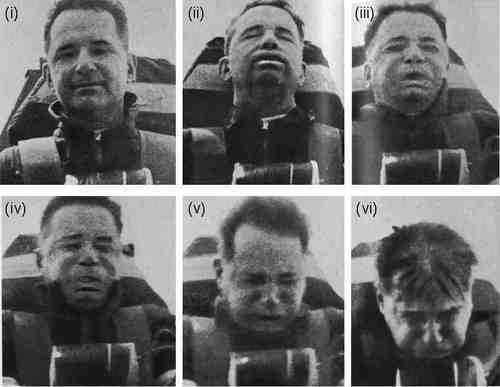 The effect on his face along the x-axis is not from his high speed, but the acceleration which is increasing in photos ii and iii, and decreasing in v and vi. Even though his speed is greatest in photo iv, speed is not increasing or decreasing much, so there is less effect. Bobsleigh, bobsled, and bobsledge are generally names for the same event - a gravity-powered sled, racing for time down a narrow concrete or ice track with many turns. Speeds may exceed 85 mph (140 km/h). That is over 117 feet (35.6 meters) every second. Radius of the turn is a factor in g-force. Curves increase g-force, with some on this track as high as 5 g.
Modern sleighs have either two or four crew - a pilot and brakeman, and, in 4-man sleighs, two pushers to get the sleigh going before they jump in the narrow vehicle with the other two. Crew have to be fast and strong. The world governing body is the Fédération Internationale de Bobsleigh et de Tobogganing. Until 2009, the Park City Utah track was called the "world fastest ice," with the highest recorded luge speed according to the Guinness Book of World Records. That record was broken at the 2009 Luge World Cup in British Columbia, Canada. The Vancouver track of the 2010 Winter Olympics is designed to be faster, with the highest vertical drop of all tracks yet designed. Creating and maintaining competition and practice tracks for athletes is expensive. To offset expenses, some tracks allow civilians to try the bobsleigh down the actual track. 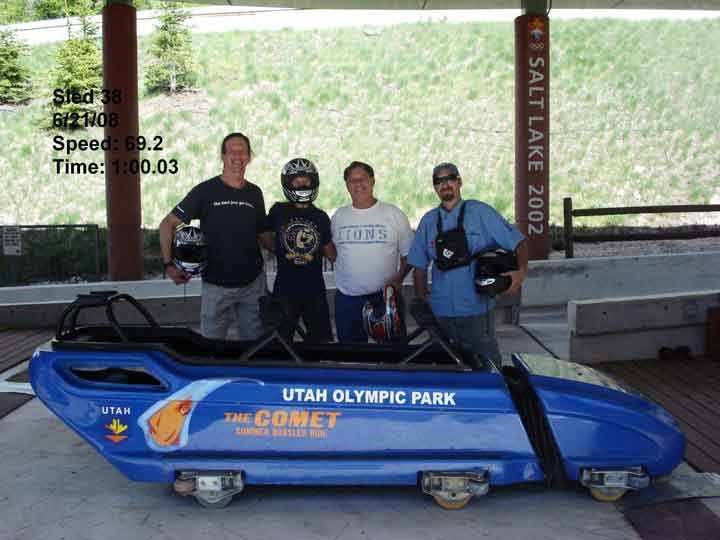 My husband Paul and I had a wild ride in Park City Utah, which had hosted the bobsleigh, luge, and skeleton for the 2002 Winter Olympics. Price for a ride was a moderate $60 US. Paul is lanky, and muscular at 6'9". Looks slim enough, but his size turned out to give us the wildest ride that the management said that a tourist ever had. Because of Paul's long legs, they decided to give him the second seat behind the professional driver. I was man three, and a large man we didn't know was crew #4. We jumped in and took off. Paul's enormous feet had nowhere to go except directly blocking the driver's elbows, preventing him from steering the high g curves. We banked high and higher with each turn. It was thrilling. We were also banging side to side like thunder. My helmet rattled the side rails like a bobble-head doll. The view? For me, Paul's giant back and nothing else. Paul said that on the banked turns, when he could turn his neck at all against the g-force, he could glance up and see the bottom of the track. The nice man behind me tolerated me compacted against his padded belly by Paul ironing me flat from the front. At the bottom, the dazed driver congratulated us on what he said was probably the wildest ride ever by amateurs. We didn't break a world record, but pulled higher g-s than the usual ride, and may have renamed the end of the course Paul's Patch. That worked out pretty cheaply per g.
In 2006, a day after the space shuttle Atlantis returned after 12 days in orbit, one of the astronauts collapsed twice during the welcome home ceremony. The reasons are the same as what happens here on Earth. When you stand and sit on Earth, some of your blood pools in the veins of your legs because of the elasticity of the vessels and the pull of gravity. In the free-fall environment of space orbit, blood does not pool, and redistributes upward. Astronauts and mission control scientists refer to the upward shift of blood during space flight in a technical manner. They call it the "Fat-Face-Chicken-Legs-Effect." Upon return to Earth, blood pools in the legs again. More pooling than usual occurs and not enough blood may be able to get to the brain. It is not uncommon for astronauts to feel weak and dizzy. You may notice the same venous pooling on land in several situations: Sometimes when you stand suddenly, the rush of pooling in legs briefly lowers available blood supply and pressure to your head. You may feel light headed. When this happens you need to bend over and lower your head. Lowering your head restores blood, relieving dizziness Extreme pooling has caused occasional cases of fainting when standing suddenly and when climbing out of the water, especially hot water in spas and hot tubs. It has been fatal to beached whales. There is gravity in space, and acting on astronauts in orbit. Due to the free-fall environment that reduces contact forces that give bones and muscles resistance, the human body quickly gets badly out of shape. Muscles do not have to work to pull bones and quickly weaken. Bones do not have the muscular pull they need to stay dense and quickly lose much calcium and bone mineral. Astronauts lose bone in space no matter how much calcium they eat. The cardiovascular system does not have to work as much to pump blood. This is why astronauts must exercise so much during missions. Here on Earth you need regular activity that contracts leg and other muscles to squeeze the vessels to keep blood moving. After sitting for long periods at work and on a plane, your feet may swell with pooling fluids. Contracting your leg muscles while sitting, and by getting up and moving around pumps more blood upward, relieving pooling and your risk of clots. For daily life, you need activity to keep muscles and bones from weakening. Even if you are sick, it is crucial to get up and out of bed every day to stop the huge health losses that occur. Being sedentary is so devastating to health that bed rest is used as a model in scientific studies for loss of many health benchmarks in the microgravity of space. Stand to exercise, get outside, and enjoy some fun activity every day. Smile - another way to exercise against gravity. Gravity and activity are important for health. Thank the astronaut, Heidemarie Stefanyshyn-Piper, for reminding us. I am writing more true stories for you. Send me your questions and topics so I know things you would like. TYPOS - Are You A Helpful Reader? If you found typos, broken links, things needing correction on my site, or have great ideas, tell me so I can fix them to help everyone, with my thanks: typos@DrBookspan.com. Mental & Emotional Training. A page of my short articles for stronger emotional and mental health. Bookspan Basics. Quick training drills for yourself and your groups. Set up healthy movement training programs for schools and groups, eventually as part of my nationwide program. This article is copyright and here to benefit the world. If you liked it, send it to a friend.